First the claim was that Israel attacked a non-violent flotilla of civil rights activists. That claim has been thoroughly taken apart. The video evidence is everywhere. And even defenders of the flotilla are abandoning talk of non-violence. Instead they are arguing that the Muslim Brotherhood terrorists, the grandfather organization of both Hamas and Al Queda, had every right to try and murder the Israeli soldiers who were trying to inspect their ship for weapons. And finally they're actually being honest about what they support. They support Islamist fanatics murdering Jews. Even this small degree of honesty is actually refreshing, because it rips off some of that mask of self-righteousness that evil likes to wear. Turkish Prime Minister Erdogan is pushing for recognition of a Hamas state. Meanwhile numerous lefties and some on the far right who are making the "It's Their Land" argument are implicitly pushing for the same exact thing. Here's an easy quiz. Guess who the authors of the following paragraphs are. I'll give you the names ahead of time. Now try to guess which man authored which of these passionate condemnations of Israel and Jews. Pat Buchanan. Glenn Greenwald. M.J. Rosenberg. David Duke. Andrew Sullivan. Basic human revulsion at a military that can kill over a thousand people - including scores of women and children in a trapped, impoverished enclave - can only be a function of anti-Semitism... And you will notice one thing as well: no regret whatsoever for the loss of human life, just as the hideous murder of so many civilians in the Gaza war had to be the responsibility of the victims, not the attackers. There is no sense of the human here; just the tribe. The usual suspects are already rushing to offer the usual double talk to defend what Israel did. Here is typical claptrap from the Israel-is-always-100%-right American Jewish Committee. Also AIPAC and its media acolytes are out there to tell us that the Israelis are the victims, and if you don't think so, you are an anti-semite... There is only one spot in this country where the lobby will be able to sell the story that the humanitarian flotilla was the aggressor and that Israel is the victim here. That is the United States Congress. a nuclear-armed Israel with the most powerful military by far in the Middle East and the world's greatest superpower acting as Protector is the persecuted victim of a wretched, deprived, imprisoned, stateless population devastated by 40 years of brutal Israeli occupation and, just a year ago, an unbelievably destructive invasion and bombing campaign? I'm not going to answer the question, because the answer doesn't really matter. There's no "daylight" between David Duke, Andrew Sullivan, M.J. Rosenberg, Glenn Greenwald or Pat Buchanan. They all share a common narrative. 1. The Palestinian Arab Muslim terrorists are automatically in the right, because they are victims of Israeli/Jewish persecution. It's important to see this because there is a common narrative among the collaborators of terrorism, whether they claim to be on the left or the right, Jewish, Atheist or Christian. It really doesn't matter. Just like the pigs at the end of Orwell's Animal Farm, you can't tell one from the other. There is no difference between Andrew Sullivan and Pat Buchanan when it comes to Israel and Jews, except that Sullivan tries to associate Israel with the far right, and Buchanan with the far left. But they're different ways of saying the same thing. Hitler called the Jews, Communists. Stalin called the Jewish refugees from Germany, Nazis, and had them shot. Sullivan and Buchanan are carriers of those ideologies. Is it any wonder that they support the people murdering Jews today? Are any of these people fundamentally different from David Duke? Go and reread those paragraphs and see if you can place which one belongs to him. And if you can't, consider the possibility that the pigs can't be told apart because they're all the same animal. Whether they wear Birkenstocks or a Nazi uniform. A final irony is that Andrew Sullivan keeps referring to "Israel Derangement Syndrome" as involving other people, not him. It's not exactly a surprise that Hezbollah Helen says things like this. So long as you see the pattern (Allahpundit @ HotAir) that Hezbollah Helen is expressing the same view as Mahmoud Ahmadinejad, which is much the same argument that Richard Cohen used in his own column, which argued that Israel was a mistake, and there was no point in trying to hold Hamas or Hezbollah accountable. One could point out that the majority of Jews in Israel are actually refugees from Muslim lands, not European lands. But Helen Thomas didn't emphasize Poland and Germany by accident. Those were countries where a majority of Jews were wiped out. Lies don't happen in a vacuum. They are perpetuated with an agenda. Go Back to Auschwitz. That's the real message. That's been the real message all along. The aid has been unloaded, but the aid was never more than a pretext. Auschwitz was always the real point. And here's a further clue as to where this is inevitably going to go: Firestone (not her birth name, of course) is on the Advisory Council at "Jay" Street. Three days ago, in Pakistan, 80 Muslim worshipers, members of the minority Ahmadiyya sect, were butchered in their Mosque by, um, Muslim homicide bombers. The police arrested one terrorist. Three days later, Muslim terrorists stormed the hospital where the survivors were being treated, and murdered six more Muslims in an attempt to free their terrorist buddy. There was a massacre on the high seas. Innocent men were murdered by a terrorist regime. Of course, Seraphic Secret is talking about the 46 sailors, aboard a South Korean submarine. It has been established, beyond a shadow of a doubt, that North Korea, unprovoked, torpedoed and sank the South Korean sub. Correction: ... sank a South Korean corvette. The UN sprang into action, condemning the North Korean regime. And naturally, the streets of Europe are choked with peace-loving activists objecting to this wanton act of murder. And you can bet your bottom dollar that scores of, ahem, human rights activists have organized a flotilla to bring aid to the people of North Korea who are under blockade—by their own government. Carnegie went on to speak about Lewis Lawes, warden of infamous SingSing prison in upstate New York that housed some of the worst felons of all time. He stated that "few of the criminals in Sing Sing regard themselves as bad men. They are just as human as you and I. So they rationalize., they explain. They can tell you why they had to crack a safe or be quick on the trigger finger. Most of them attempt by a form of reasoning, fallacious or logical, to justify their anti-social acts even to themselves, consequently stoutly maintaining that they should never have been imprisoned at all." The comparison here to the thinking of terrorists and thuggish governments, is almost exact. These are felons who think they are in the right, misunderstood and unappreciated and who believe in their twisted minds that whatever they might have experienced or, for just being who they are ,they somehow have the right to murder others with impunity or to thumb their nose at the law abiding world. They believe they can scoff at the laws of sovereign nations and that , really, the law doesn't apply to them.They are above law and order.It is only for others,not for them. How , though , do we explain the people who support them and agree with them? People who ride on boats with them, stand up as human shields for them and aid and abet these criminals? I believe it can be explained in the same way. By supporting these criminals in their murderous rampages and genocidal hatreds, their supporters are acting out their own anti-social tendencies. The same tendencies that incarcerated criminals have. And, this is the thinking of the left. "I did not initially intend to submit this letter for publication. However, I felt that publishing it might encourage others to do the same where their represenatatives or government ministers are taking a unreasonable stance in relation to the Gaza Flotilla incident. Since I wrote the letter Minister Martin published an extreme article in a prominent Irish newspaper which indicates he will try to influence the EU to break the blockade on Gaza: but seems to think nothing of courting the China. It should be obvious that Israel is facing an existential crisis. The extraordinary hysteria in the media internationally and on the streets is a timely reminder of this fact. Israel needs more sensible vocal support from those who truly care about its future". As an Irish citizen living in Ireland I feel it is my duty to provide some observations on the stance taken by yourself and An Taoiseach Mr. Brian Cowen with regard to the Gaza Flotilla. Although I am not really a political campaigner I still decided to write to you because I feel your approach to this issue has been deeply unbalanced and damaging. I have listened to your comments on the Irish media since the Gaza Flotilla crisis erupted on Monday the 31st of May 2010. On that day I listened to your interview on the RTE Radio 1 “News at One” show. You objected to the way Israel had characterised the members of the Flotilla as extremists. You stated that they were legitimately protesting. Firstly, there is the issue of the legality in attempting to break a military blockade which I understand you believe is in itself illegal - I will return to this point later. Secondly, your assertion failed to address the accusations that Israel made regarding the violent conduct of certain activists. You had previously stated in an interview on the RTE1 TV news at Noon that the military action was completely unnecessary. I found that a remarkable thing to say since you would not have been in possession of many facts at that stage and as a result unable to ascertain with certainty that there had not been a violent response to the boarding of the ship. You claimed in the “News at One” interview that other strategies by the Israeli’s could have been adopted. Subsequently on TV interviews you stated they could have shadowed the vessels to Gaza. I do not understand what good this would have done in terms of allowing Israel to ensure that the cargo was legitimate humanitarian aid rather then a source of harm its citizens. You also stated that such violence did not occur before when ships went to Gaza. That is true but your assertion ignores the obvious point that unlike before there may well have been a very violent response as the Israeli State has repeatedly alleged. The Taoiseach Mr. Brian Cowen has been quite unhelpful with regard to his own comments as well. In the Dáil he stated there would be “serious consequences” if any Irish citizen was harmed. Similarly you stated later on Monday that the Irish citizens on board these ships were kidnapped and demanded that Israel treat the Irish ship the MV Rachel Corrie with respect. A very large number of Irish citizens are involved in this charade of attacking Israel supposedly for humanitarian reasons. None have been harmed in the past to the best of my knowledge. Therefore, while it is of course important to speak out about any concerns regarding Irish citizens, such strong language was unnecessary as it is unlikely any Irish citizens were harmed unless some happened to be on the Turkish vessel. The alternative of breaking the embargo which you and many others endorse will of course let shipments into Gaza without weapon import controls. This is a remarkable thing for any right-thinking individual to seek. Need I remind you that Hamas controls Gaza? They are funded and supplied with weapons by Iran. They will inevitably rearm themselves without the previous limitations imposed by using tunnels. The ensuing result will be another war with Israel with could be a good deal worse as Hamas will be much better equipped. How can anyone in good conscience claim that this is a viable alternative unless they regard the destruction of the State of Israel as a worthy goal? To the best of my knowledge you are the loudest critic of Israel in the Irish Government and have been involved in quite a number of proposals and initiatives harmful to the State of Israel. Only in recent weeks you were involved with the UN conference limiting weapons of mass destruction in the Middle-East which resulted in a declaration which astonishingly singled out Israel rather than Iran, the state that threatened the Jewish Nation with extinction. Israel will not be secure even if it achieves peace with the Palestinians. Besides the obvious threats of extinction, Iran is funding Hamas’ and Hizbullah’s assaults on Israel. Peace negotiations with Egypt and Jordan succeeded in preventing further military conflict but relations were never truly normalised at state level decades after peace was made. Syria's leaders have indicated that normalised relations are not an option. Turkey with its present Islamicist government became hostile long before the current controversy. This conflict is an intermittent Islamic/pan-Arab war. Despite the precarious situation Western politicians that luxuriate in peace aggressively encourage this state to take “risks for peace”. Yet when peace efforts go wrong they typically ignore the common Palestinian intransigence. http://www.nytimes.com/2010/03/05/opinion/05iht-edmartin.html - you wrote: “The tragedy of Gaza is that it is fast in danger of becoming a tolerated humanitarian crisis, a situation that most right-thinking people recognize as utterly unacceptable in this day and age but which is proving extremely difficult to remedy or ameliorate due to the blockade and the wider ramifications of efforts to try and achieve political progress in the Middle East.”/. In no way has it become or is becoming a “tolerated humanitarian crisis”. It is a crisis but certainly not one of the most serious in humanitarian terms. The population is not starving. Yes rebuilding infrastructure and improving living conditions is problematic. You clearly blame Israel but as soon as Hamas in essence committed a military coup it had little option but isolate this terrorist organisation which has repeatedly stated in recent years that it will use terrorist acts to destroy Israel. When it greatly increased its attacks on Israel it became in effect a state of war. I am no expert on International law but it is clear Israel has a legal right to defend its citizens. More importantly it has a moral right. You wrote: “What I witnessed in Gaza, amidst all the rubble and devastation still so evident from last year’s conflict, was a population traumatized and reduced to poverty by an unjust and completely counterproductive blockade. All that is being achieved through the imposition of the blockade is to enrich Hamas and marginalize even further the voices of moderation. I view the current conditions prevailing for the ordinary population as inhumane and utterly unacceptable, in terms of accepted international standards of human rights.”/. In actual fact what “… is being achieved” is a legitimate defence of Israeli citizens. The voices of moderation were thrown off rooftops. I refer to Fatah/PLO which aren’t exactly voices of moderation but are not quite so implacably opposed to Israel’s existence. Whether we like it or not the citizens of Gaza chose their fate when they elected Hamas because in effect they chose war. This is not a justification for collective punishment but neither can we simply excuse the election as some sort of expression of democratic will which shouldn’t have any consequences one way or another. All adults bear the brunt of moral choices so why exactly should Gazan’s be exempt? To suggest that the moral actions of the citizens of Gaza and the corresponding consequences should not be connected is to equate them with children. This is not a justification for their suffering but an assertion that they themselves are at least partially morally responsible for their present unfortunate circumstances. They chose war and they will chose it again. This clearly does not fit in with your view of peace loving Palestinians but that in itself does not make it incorrect. To ignore war mongering will not bring peace. Simply ignoring it will worsen the situation and harm the forces that legitimately oppose it. Quite frankly I realise it is unlikely this letter will hold any sway with you or your department. However, I hope the points raised will encourage some reflection on the issue and, despite your feelings of support for the Palestinians, bring about a greater impartiality in dealing with this and future matters relating to the Israeli-Palestinian conflict. Al-Jazeera cameraman confirms some IDF claims of attack. Gaza Flotilla peace activists to Israeli Navy: "Shut up, go back to Auschwitz" and "We're helping Arabs go against the US, don't forget 9/11 guys"
Given the refrence to Auschwitz and 9/11, I find it surprising that Israel is insisting that these 'peace' ships should dock at an Israeli port. ship was loaded with explosives, and made to explode while at an Israeli port. I mean, is the concept of turning a civilian ship, airplane or truck, something that has yet to be deployed by the Mujahideen, and is therefore a novelty, and unthinkable that anyone can do such a thing? Is the entire civilised world, Israel included, lost its senses? Mr Harris did a better job defending Israel than the Israeli gov't. spokesmen. And, sadly, I have read many, many excellent defenses of Israel & there was also a rather passionate defense of Israel by Monica Crowley on the Fox News program hosted by Megyn Kelly, far superior to anything done by our stumbling, bungling, apologetic, inarticulate Israeli gov't. spokesmen. Not that I believe that anything we say really matters much, this is certainly not about facts but about Jew-hatred. But it would have been nice to see some competent Israeli gov't. spokesmen who actually spoke English for a change. In my opinion this attack was not a sign of Israel's strength and in fact goes to show Israel's weakness. 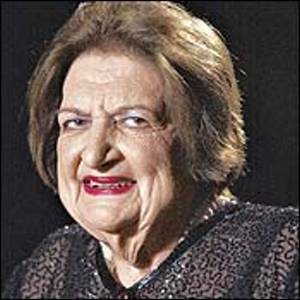 Helen Thomas does not look like Native American, she should go back to Europe. Personally, I thought it was a brilliant strategy on the part of the IDF to seize videos from the "photojournalists" on the Mavi Marmara. First, they were justified in seizing anything in connection with a terrorist plot. Secondly, it helped to make their case in the court of public opinion. Thirdly, the coverage combined with the We Con the World video has gone viral. Now those "peace activists" are finally being recognized for what they are--supporters of terrorists. So far in Buffalo at least we haven't seen any anti-Israel protests. Yayyyy! Helen has gone down.